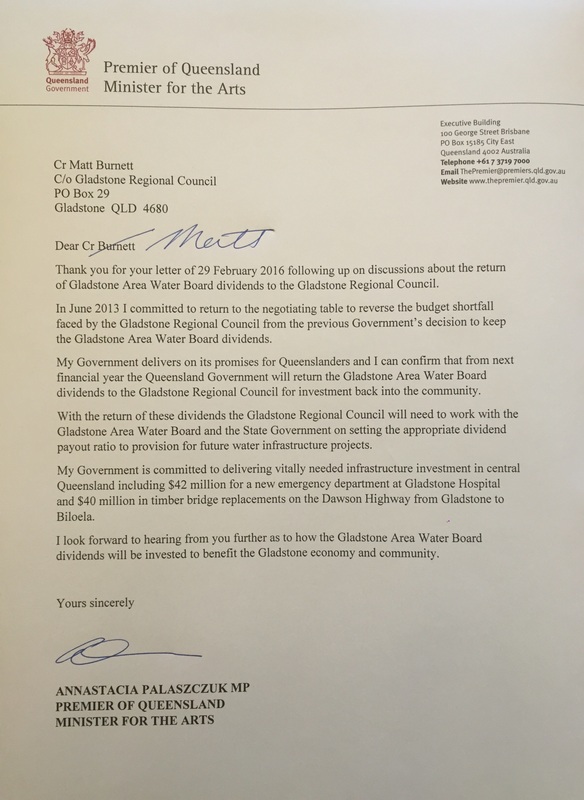 Queensland Premier Annastacia Palaszczuk has committed to returning an estimated $18m in dividends over the next four years from the Gladstone Area Water Board to the Gladstone Regional Council from next financial year. “I met with the Premier and Member for Gladstone Glenn Butcher at Parliament House in Brisbane today, and I am very pleased to advise that the Queensland Government will return GAWB dividends back to the Gladstone community from the next financial year. This is estimated to be worth approximately $18 million over the four financial years. “This is an important victory for our community. “I have been fighting for the return of these dividends since the former Government robbed this funding from our community in 2013. The Queensland Government has confirmed in writing that from the next financial year it will return Gladstone Area Water Board dividends to Gladstone Regional Council. “Despite what has been reported I am the only person who never gave up the fight to undo this injustice,” Cr Burnett said. 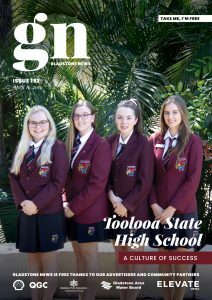 “I have received verbal advice in the past few days that the Queensland Government would return GAWB dividends to the Gladstone community but I would believe it when I saw it in writing. “Today, I have that commitment in writing and this means millions of dollars in dividends will flow into our community. “These funds can be put back into the water fund, used to pay down debt or fund infrastructure projects,” Cr Burnett said. “I would like to thank the Member for Gladstone Glenn Butcher for working with me on this issue. Gladstone News confirmed with the ministers office that while the letter is not dated the letter was provided to Matt Burnett today when he met the Premier.